Fr. Basil Nortz, ORC:Silence is a necessary condition for growth in the interior life. 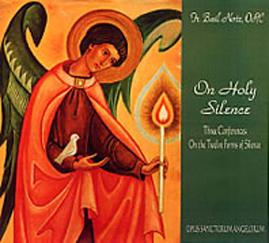 The spiritual doctors of the Church offer practical advice on how to observe 12 forms of silence in order to dispose ourselves for a deeper union in prayer with Jesus and to receive the subtle guidance of the holy angels.